We are so thankful for the opportunity to share our ministry once again to our partners here and abroad. It is our delight to report all that transpired to our church and life these recent months. The blessings of sharing our blessings and prayer requests and having people to encourage and pray for us is our great privilege. 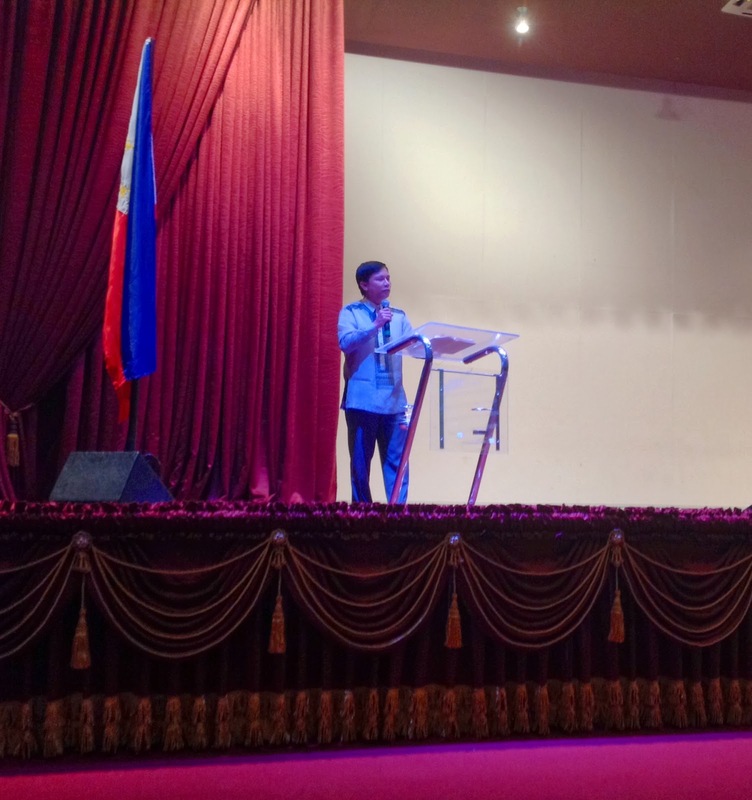 First, to open up the year 2014, I was asked to share God's words on Monday morning flag ceremony to hundreds of employees including some if not all provincial board members of the Province of Batangas was present, is a good pace setter for our ministry this year. It is also a privilege that at that time of the meeting, Gov. 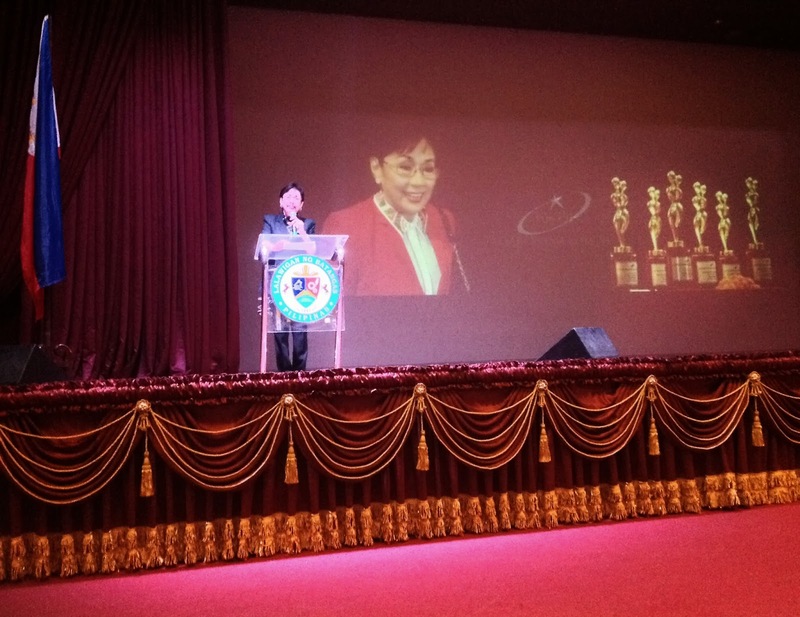 Vilma Santos Recto was present too and heard the Gospel. I praise God for this wonderful favor from Him. Hopefully, Governor Vilma really accepted the Lord because there is a buzz that she will run for vice presidency of our country after her term ends in a couple of years for she is a popular actress and has a good track record of public service. She was a mayor of Lipa City, Batangas for 3 consecutive terms before becoming the Governor of Batangas province. This is her last term to govern this province and she did it well for 9 years. Please pray that she will be more receptive to the Gospel and be always in favor of our faith. Who will know, she might become the head of our state for we have a history of two female presidents, the late Corazon Aquino, mother of our present president, Benigno Noynoy Aquino III, and former president Gloria Macapagal-Arroyo, who was recently replace by the former. Both of these female presidents were strong proponents of the Roman Catholic religion. Secondly, it is a pleasure to bring my colleagues from the States to join me this first week of February so they can also share God's words to all these employees of the provincial capitol who are mostly Roman Catholics. 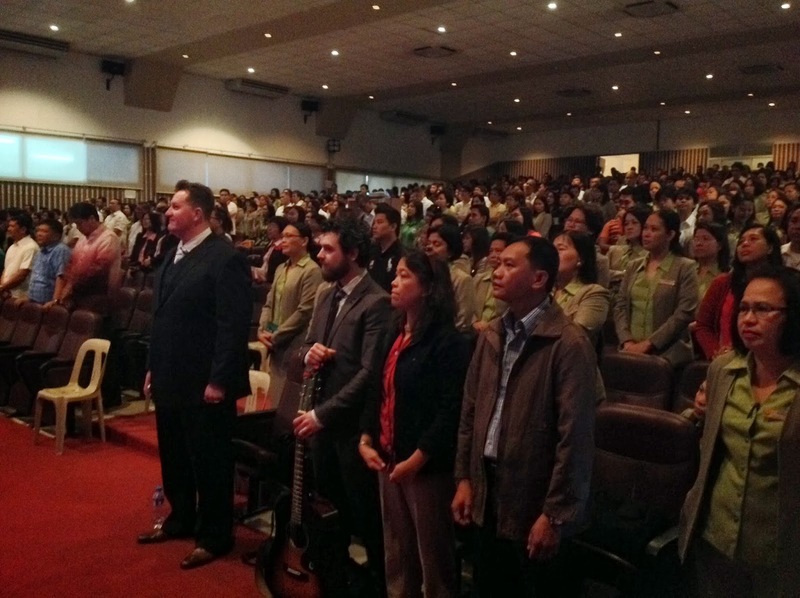 A lot of people raised their hands to accept the Lord as their personal Lord and Savior as Pastor Jason Woolford, Executive Director of Christian Resources International, shared the Gospel while Bro Michael Maher, a national artist from Michigan, gave a special song to the assembly. My first cousin, Marites Ayap, who is working at the Assessor's office for more than 20 years, was very glad to see us and she heard the message as well. She introduced us to her office mates and her friends. Please pray for her, her friends and her family. They are devoted Catholics, specially my aunt, Senanda Namuco- Del Rosario, Marites mother. Tess, as her colleagues call her, was very accommodating, and this will hopefully lead her to commit to Christ and share the Good News of salvation that I am praying for a long time to come to pass for her whole family to be born again. 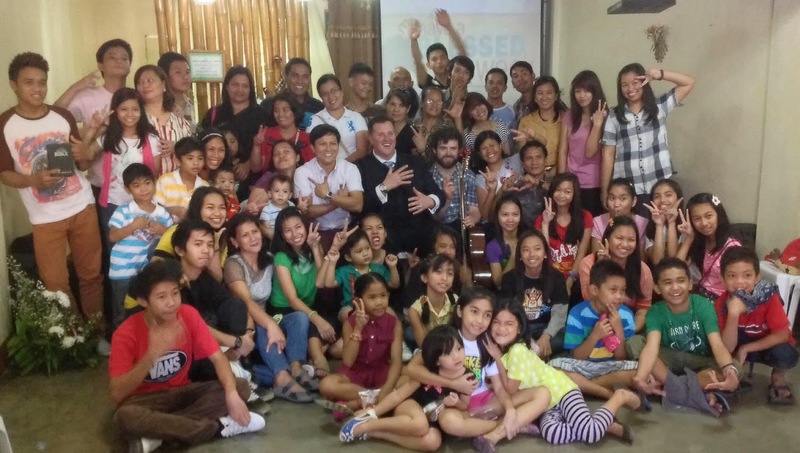 The following days, my friend missionaries and I went to Pangasinan to hold Pastors Conference and a concert. I thought, our participants, who are all pastors, just came from Pangasinan province. I was surprised when we welcome each of them. I found out half of the 120 pastors came from neighboring provinces like Tarlac, La Union, Nueva Viscaya, Quirino, Baguio-Benguet, Aurora and Pampanga. This trip gave us an open door for Northern Luzon provinces to be able to see possibilities of long term ministry partnership and training pastors and workers in the area. They are excited to receive the Bibles and books we will be distributing before this year ends. I remember when my family and I went to this area last November so I can speak to a friend church and then we had a country side tripping all the way up to Ilocos region, I barely saw Christian churches along the way. I saw a number of Iglesia Ni Cristo- Manalo chapels because I remember in our history the late President Marcos, a dictator who ruled our nation for 20 years, was a close friend of the Manalo's and he was from this area of Luzon. This cult group is well known for using their religion to influence our government and make their voice heard loud. They even make the propaganda of block voting for the founders family's chosen candidates. This scenario gave us a lot of barriers in all parts of the country. In the history of our republic, this area of northern luzon dominated the leadership of our country. Out of 15 past and present presidents of the Republic of the Philippines, more 10 than came from these areas including our present president. No wonder, the INC make this region their play ground, not to mention our friends from the Catholic faith. The northern Luzon region, I found out is very regionalized in their thinking. They have their own dialects too. They speak Ilocanos, Pangasinense, Kapampangan and if I speak our national language, which is Tagalog, they already know I am not one of them. That makes things complicated in the area of sharing our faith. Please pray that we will be able to find ways to expand our horizon by training the pastors from Northern Luzon areas to share the gospel and plant more churches for they are the ones who are associated in the area, the people who live there and that is where we are praying for our country to be evangelized by the nationals. Lastly, I want to extend my gratitude for you all by supporting our ministry by prayers and financial assistance. This is our commitment to give you an update of our work to allow each other to pray for people and specific ministry. God bless you and your family.